Julian is from south Manchester. When he left home he went to study history in London and after a short period nursing, trained for the priesthood in Oxford. 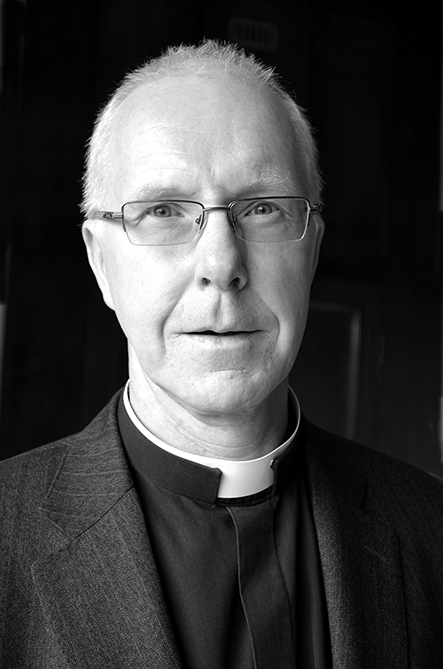 He has served in parishes in Stockport, Knutsford, Altrincham and Sale as well as working as a hospital chaplain in Nottingham, helping people discern their vocation as Assistant Director of Ordinands and contributing to the life of the local church as Rural Dean. Coming to Bury, Julian brings with him a desire to contribute to the community’s deepening friendship with God and confidence in Christ, to develop a culture of church growth across the generations and to work with other Christians and the local community to make Bury a place where all people can flourish. Rhiannon Jones, formerly Assistant Curate at Manchester Cathedral, is our Associate Rector and joined us in July 2014. She is a Welsh Glaswegian who worked for 8 years for a mission society in Senegal, France, Jordan, Lebanon and Tunisia. She speaks Arabic. She has also worked for a Christian radio charity, and possesses an MA in Communication from the Oxford Centre for Mission Studies. She trained at Ridley Hall, Cambridge. She cycles everywhere and is recognisable by her hi-vis jacket.